For many weavers, the road to Convergence means poring over your workshop choices months in advance, readying your shopping list, and planning to meet up with folks you may have previously only met in the virtual world. For instructors, however, the road to Convergence begins well over a year in advance! If you have ever wondered how much preparation goes into teaching a workshop, here is a behind-the-scenes look from weaver Deborah Jarchow in this month's guest blog post! Convergence is a wonderful weaving conference that is held every two years. Ever since I began weaving, it's been a high point for me to attend, hang out with friends, and see what's new and exciting in the weaving world. 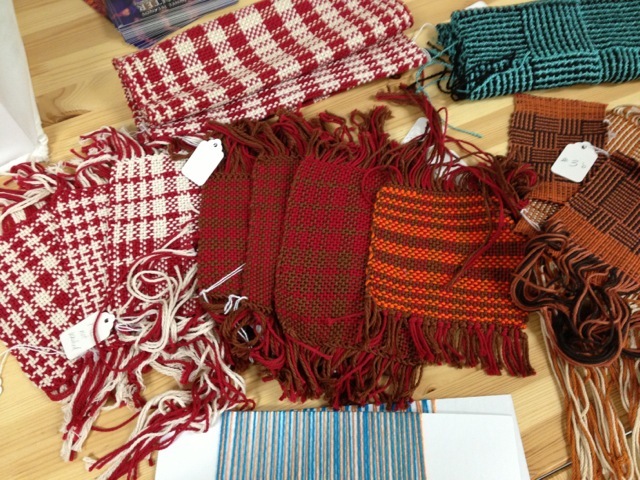 As a weaving teacher, it is great to teach at Convergence. I get a special thrill when I get my name badge that says "Leader" on it! It makes it worth all the work it takes to get there. When I've taken classes in the past, it hasn't occurred to me how much preparation might be involved for the teacher. When the Woolery approached me about writing this blog, we thought it might be interesting for you to see what's involved in presenting a class at a conference. 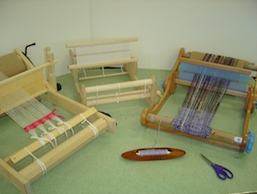 I will be teaching 3 rigid heddle classes at Convergence 2014 in Providence, Rhode Island. My classes will be a two day workshop on Pick Up Pizzazz, or using pick up sticks to create patterns in the woven cloth, a second 2 day workshop on Double Heddles and Double weave to explore patterns, layers, tubes and pockets in the cloth, and a 3 hour seminar on Taste of Rigid Heddle to introduce the curious to the wonders of weaving on a rigid heddle loom. When I finally get on the plane to travel to Convergence, I'll be so happy that really, all the hard work is behind me. Teaching is the fun part, and seeing everyone learn a new technique or get excited about what they are weaving is the reward and the thrill that makes all the preparations worthwhile! 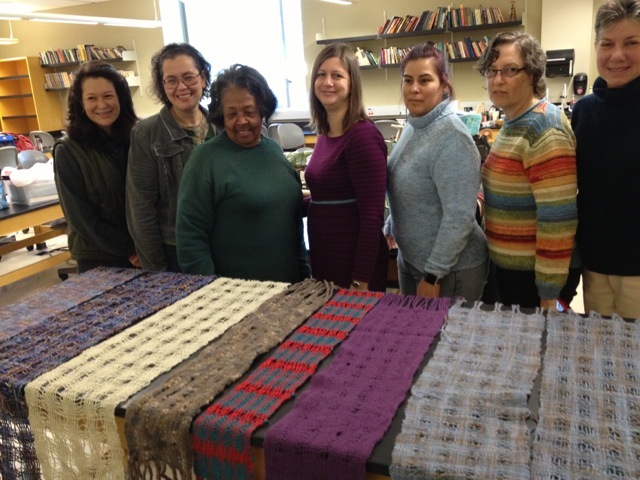 Deborah Jarchow is a nationally shown fiber artist and weaving teacher. Her work with color, fiber and texture has led her to diverse projects from large scale wall hangings, to wearables, to liturgical commissions. Deborah travels the country as a popular weaving teacher at conferences such as Vogue Knitting Live and Stitches. She has maintained a studio at Studio Channel Islands Art Center in Camarillo, CA for over 10 years.You can learn more at www.deborahjarchow.com.